Stunning home in prestigious Heritage Lakes - Golf Course Community! 2 Story Foyer leads to Home Office & Formal Dining Room. Gourmet Kitchen features gas range, huge island, granite counters, stainless steel appliances, pantry. Dinette Area offers double sided fireplace, large windows w/ cozy bench seat & view of private back yard. 2 tiered circular paver patio w/ seating walls. Wall of windows & double sided fireplace highlight the gorgeous Great Room! 1st Floor Owner's Suite w/ tray ceiling - Deluxe Master Bath w/ garden tub, tiled walk-in shower, double vanity + make up vanity, walk-in closet. 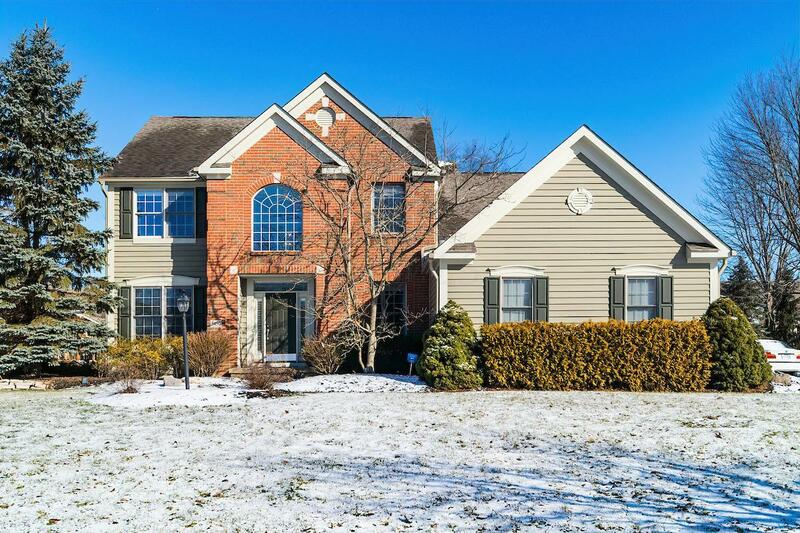 Upper Level w/ 3 spacious Secondary Bedrooms + huge Bonus Room that could be a 5th Bedroom. Professionally Fin Lower Level w/ Kitchenette. Wired for surround sound. Great Location!